The little island in the background with the white "golf ball" on the hill is Sha Chau... the "golf ball" is a radar system for the airport by the way., I have had a quick skeg at the information on Wikipedia and I have decided that it does not quite meet the requirements of a weekend getaway. Our Government really tries very hard to provide clean public restrooms in Hong Kong but it is and will continue to be a losing battle, we had 16 million visitors in 2003 and last year we had 49 million visitors and yet you very rarely see any new public restrooms and our ancient restrooms simply cannot cope with all that pee. I spend a lot of time in Hotels and I always make a point to locate and test the facilities and I have to say that the restrooms in the Auberge Hotel are quite lovely and if I was our Chief Executive I would immediately build hundreds of public restrooms based on this template... sadly that will never happen, places to pee are not that high on the Governments agenda. Everyone should experience a "once in a lifetime meal" at one of the world's top restaurants and Lung King Heen fits the bill... I was lucky enough to eat there earlier this year. HUZZAH! Incense or joss sticks are a part of everyday life in Hong Kong and there isn't a day goes by without my arriving home smelling primarily of sandalwood. Love it. 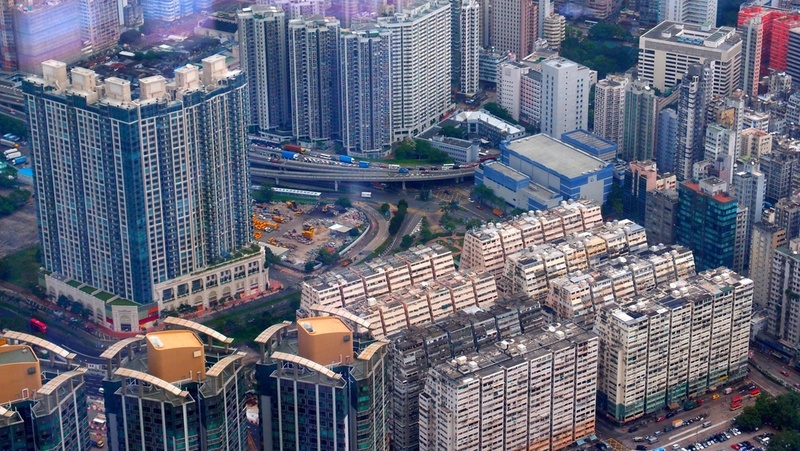 This image is primarily of Yaumatei District in Hong Kong and is taken from the lobby of the Ritz Carlton Hotel on the 103rd Floor of ICC in West Kowloon - see the 8 dodgy buildings down and to the right.. this was the shoreline before the reclamation started in the mid 1990's! The Novotel Citygate Hotel is not quite located at the airport but close enough and if you like shopping then you will love the fact the Hotel is in the Citygate Outlet Mall... whenever I have been there has always been a pretty decent lounge singer belting out old and sometimes unique songs. 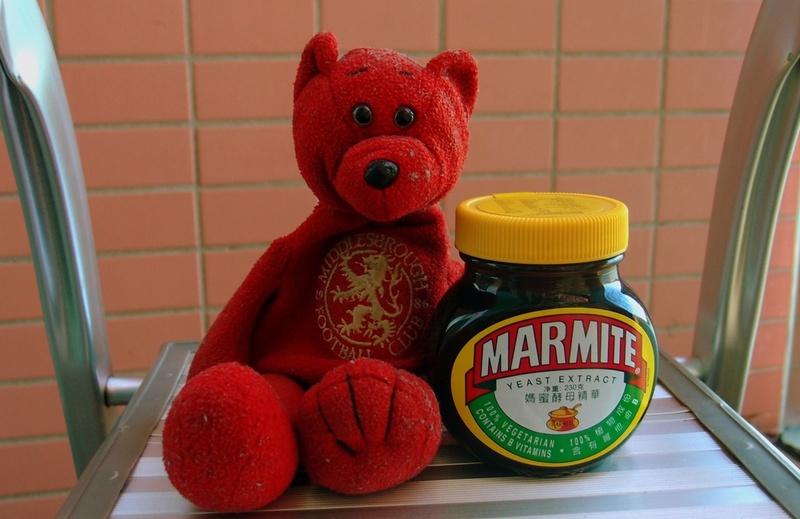 It has been about 2 years since Teddy was on my site... he needs a bit of a wash but he just wanted to express his thanks for the Marmite I bought... Middlesbrough natives love Marmite. You can get some wonderful views of Hong Kong from the Club Level of the Hotel Conrad, the afternoon food / drink buffet is not to shabby. The only reason to visit Tai Wo Hau in Tsuen Wan is if you are a guest of the simply awful Panda Hotel and that's that. Posted on July 19, 2013 by Jamie Lloyd.